Most women are fashionable and some not so much. The fashionistas are the ones who want to buy all things from head to toe as soon as they go out shopping store to store. Some are fashionable in a way that they set a trend for themselves. For those who are not as fashionable, they still have different looks for different occasions. For their foot apparel, they have at least a pair for casual wear, another pair for sporting and another pair for church or other formal occasions. For those who are limited, the church pair of shoes will also be used for any party that they intend to attend to. Not so for those who have the money to buy more because for most women, it's all about the shoes! Generally, women have the taste for matching colors. So, it's not just about the occasion, but the color of the shoes should match the apparel as well. 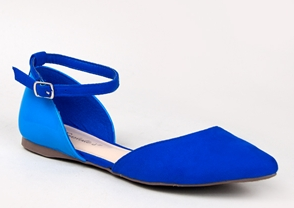 Any woman would love to have a Breckelle's DOLLEY-01 Ankle Strap Pointed Flats which are not only charming, but also comfortable and safe and secure. How about a Delura KALEESI Slouchy Flat Knee High Boot which you can use with just about any outfit, be it casual, rugged or party time. 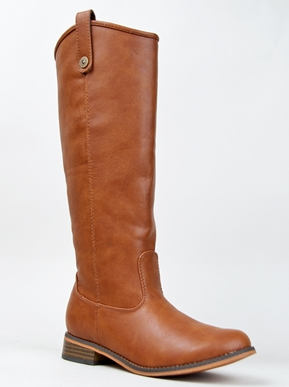 If you want a simpler look, you can go for the Breckelle's RIDER-18 Knee High Riding Boot. Of course they match with any riding horse look, too! Look around for what tickles your fancy. This site, Zooshoo.com, is not just about the shoes, though. It's about everything a woman wants from head to toe! To learn more about their unique selection, I suggest you become their follower on Facebook and Twitter fan and keep your feet warm and looking good this fall. I love the first one! Got to work with them too...really good shoes!